A club's kit is it's identity, a symbol of their values and a representation only matched to individuals. 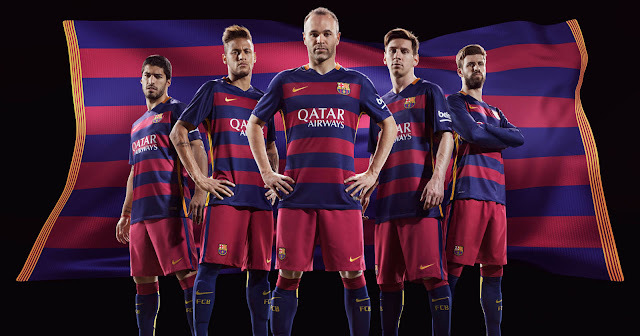 In La Liga, with the passionate fans, never have the strips been more important. With the La Liga season incoming, here are the three best and worst kits for the upcoming campaign. This is the best kit in La Liga for me this season and whether you think this is a PR stunt by Rayo or not you simply have to praise and admire this kit and this club for it. This kit features a rainbow on the front of it and each colour of that rainbow support the fight against all forms of discrimination and some of the money received by sales of this shirt will go to the various charities fighting against discrimination. This is a wonderful gesture and great idea by Rayo and some times when you get clubs doing things like this they do it with a kit which looks awful but Rayo have come up trumps up because it’s a kit that is absolutely stunning and the design to it is excellent. Well done Rayo! This is a kit that when I saw it for the very first time this summer I loved it because not only has the club returned to the traditional red and yellow stripes on the shirt which is loved by supporters but the all-round design of the shirt is very smart and well produced. A blue and red collar with a V-neck adds to it nicely aswell as the three yellow stripes going down the sleeves and to top this kit off perfectly it was launched with a slogan with the words ‘Yes to my Colors’ ‘Yes to be my team’ and ‘Yes to be my dreams’ in Spanish. Another brilliant shirt by Atleti and this time with a new sponsor in Plus 500 a company who provides online services to customers and has secured a deal to sponsor the club despite their financial problems. But I like this shirt because not only is it very smart but it sees the club return to the traditional red and white stripes with four white stripes and five red stripes and brings back memories of the 1995-96 home shirt worn by the side when they won La Liga when Simeone was a player for the club. Now we begin with the worst kit in La Liga for me this season and that’s the Barcelona home shirt and the issue over the current sponsor even being advertised by the club is frustrating many supporters of the club as it is. For me though it’s the overall design of this kit which is very poor and when you add to that the controversy of deciding to make the club play in horizontal stripes for the first time in the club’s history it’s a home kit that is far form liked in Catalonia. To make this kit even worse is the fact that instead of the traditional blue shorts the club will instead wear red shorts for the first time ever and this is a kit that I just do not like and many Catalans will join me on this aswell. Las Palmas’s promotion to La Liga means that the Yellow Submarine will have to actually wear their away shirt for once this season and they really couldn’t have chosen a worse away shirt to break that duck. It’s a completely different shade of blue to last season’s away shirt so the club state but for me it’s turquoise and not even close to any shade of blue but the kit all round just looks poorly designed and quite cheap. Thankfully despite it being so poor and terrible to look at they are likely to only play in it once this season and that’s away to Las Palmas but if Las Palmas stay up this season let’s hope that for the 2016/17 Season Villarreal come up with something much much better than this. I’m all for bright shirts because I like bright shirts although not many of us do to be fair but when they are like Getafe’s third shirt this season it makes me change my stance a little. When kits are so bright they have to be designed well and look smart and the vast majority do thankfully but this one looks extremely cheap and Joma’s design on this one is very poor. 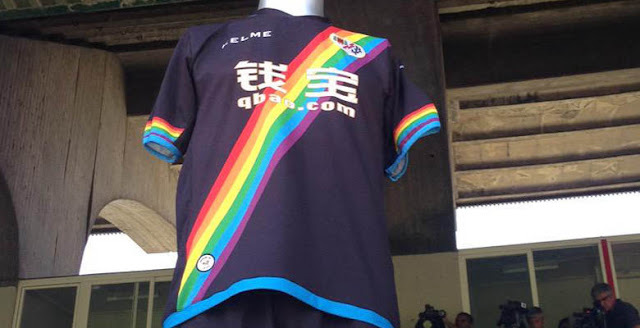 The only good thing about Getafe’s third shirt is this season is exactly that it’s their third shirt and it’s unlikely to be worn that much if at all and thank god. 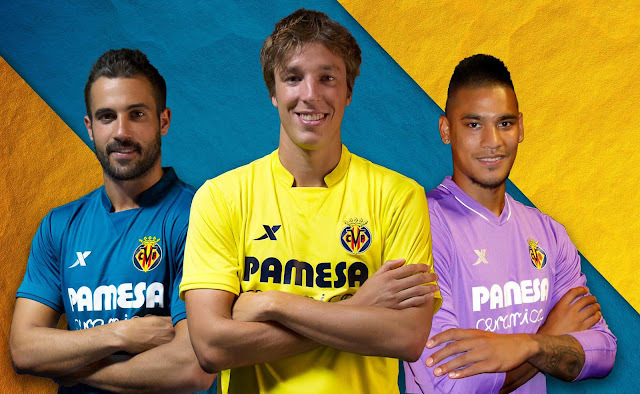 Stay tuned throughout the La Liga season to see who looks bet in the all-new kits.